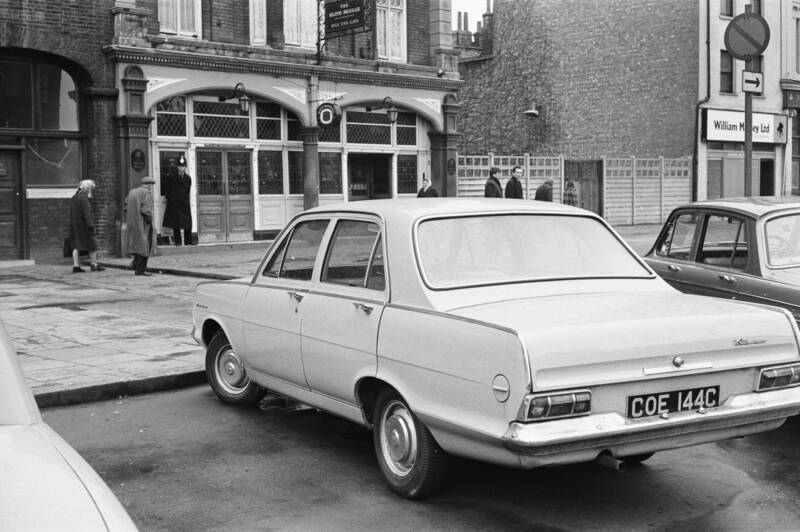 Scene outside the Blind Beggar pub on Whitechapel Road, Stepney, where Richardson gang associate George Cornell was shot in March 1966. Ronald Kray was charged with his murder. The car parked outside belongs to Mr Cornell. 11th March 1966.